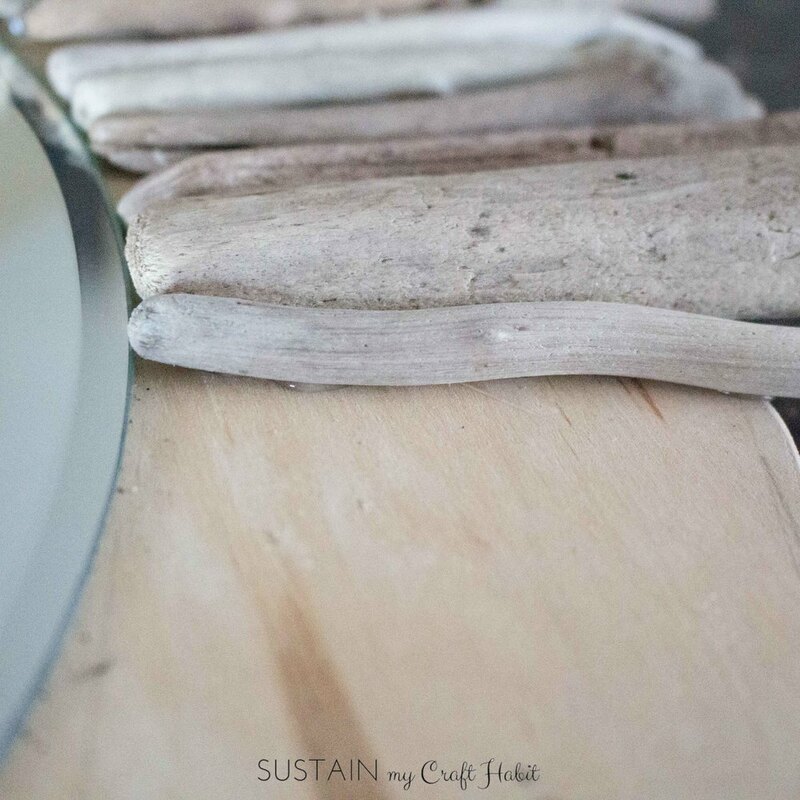 As many of you already following along have probably gathered by now, we LOVE driftwood! And we love to use it many different ways to make all kinds of stuff, such as our driftwood lavender window wreath, driftwood Christmas tree, and our driftwood tree ornament and the project shown here. 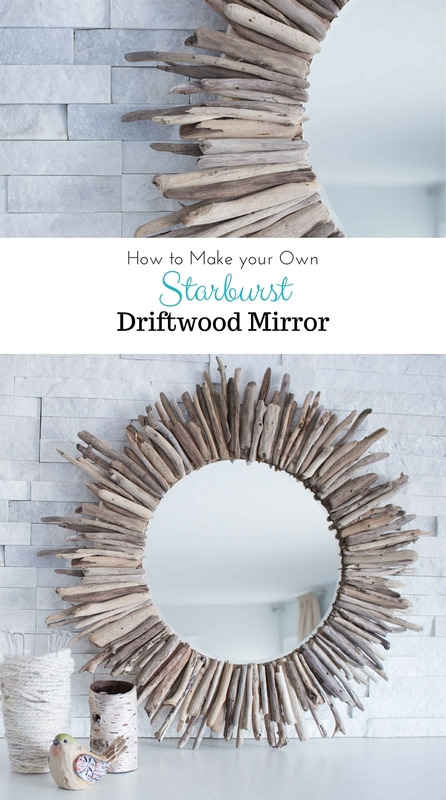 The list goes on and on and on and high on that list has been to make a driftwood mirror! But for those of you stopping by for the first time, we’ll let you in on one of our most favourite past times…collecting driftwood along the shores of Lake Huron. The opportunity doesn’t happen nearly as often as we would like but when it does, we jump at the chance to walk the beach with our bags in hand. Afterwards, we love to joke about what a “hard day at the office” it was! 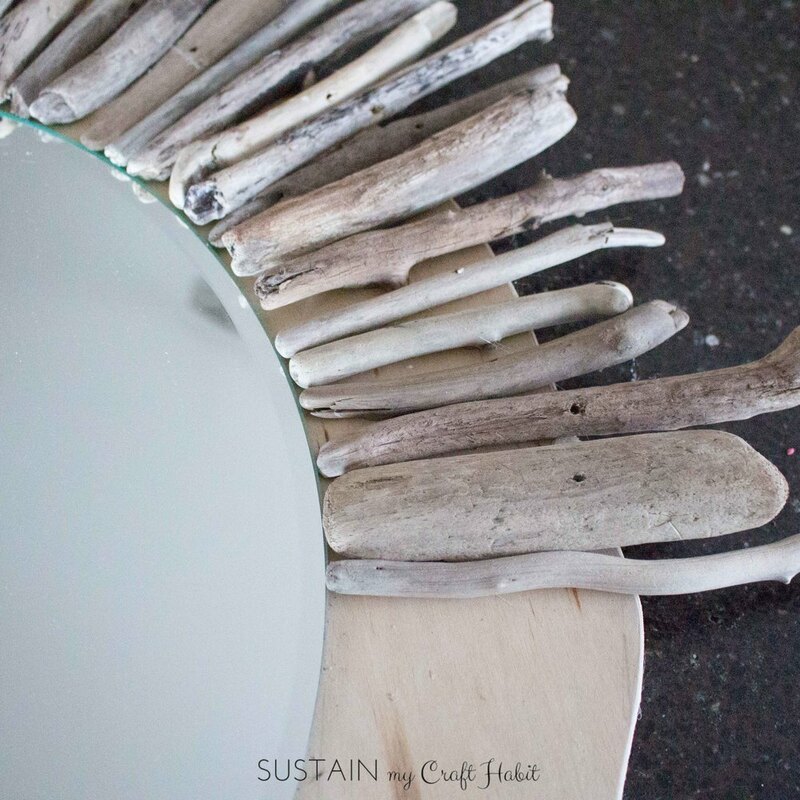 Making this round driftwood mirror has been on our minds for a while. So over time we’ve collected and sorted driftwood specifically to use for this project. 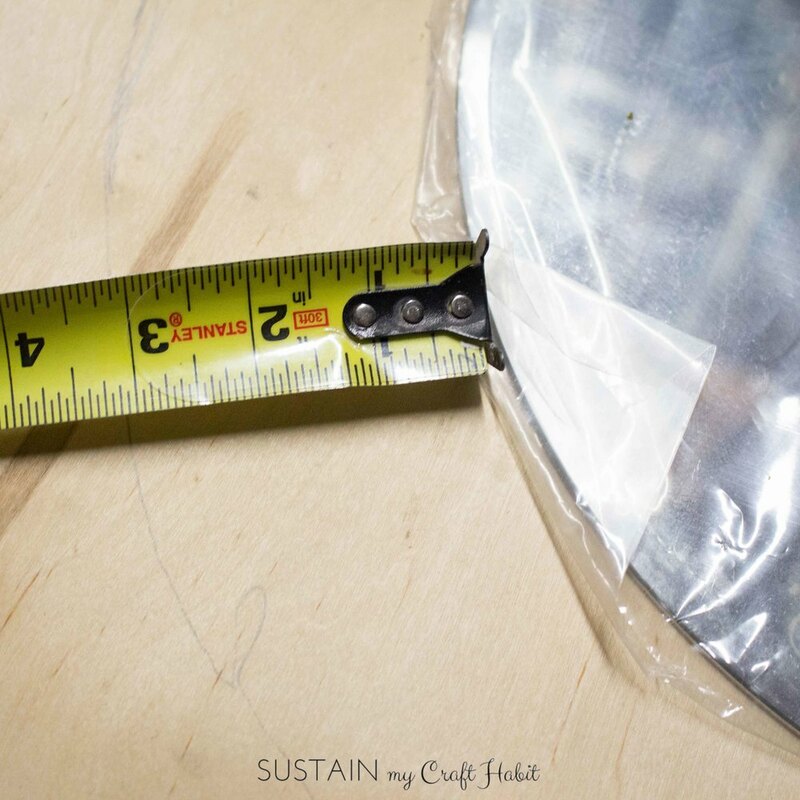 And when we came across an assortment of various sized flat mirrors at Michaels, we knew it was time to make one! This particular project used up about 150 individual driftwood pieces. 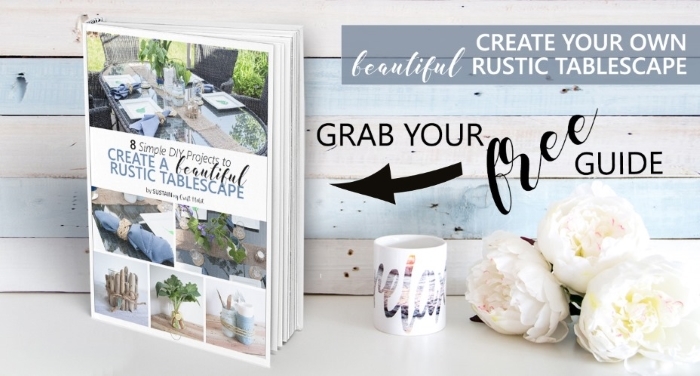 We’re happy to share a free, 5-page printable project workbook for this DIY coastal decor project. We’ll send it straight to your email box! 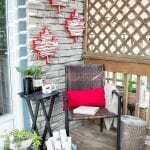 You’ll also receive our weekly awesome e-mail with fabulous and inspiring DIY, crafts and home decor ideas each week. 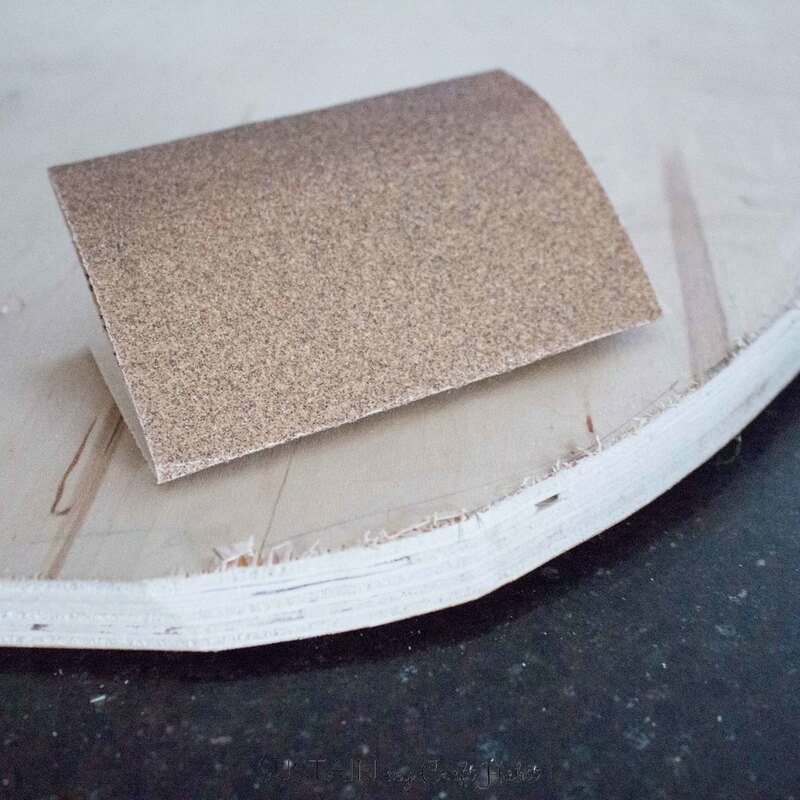 We used a ½” thick sheet of leftover plywood and cut it in a circular shape to match the mirror shape. 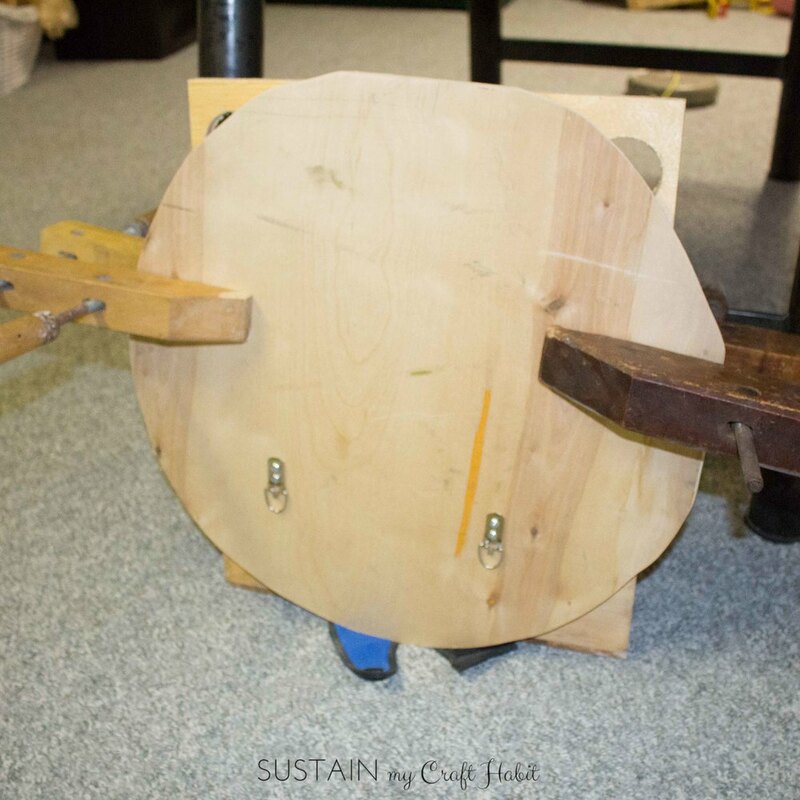 Since we wanted 2 ½” of plywood to show beyond the mirror all around, the finished size of the cut out plywood is 19”. 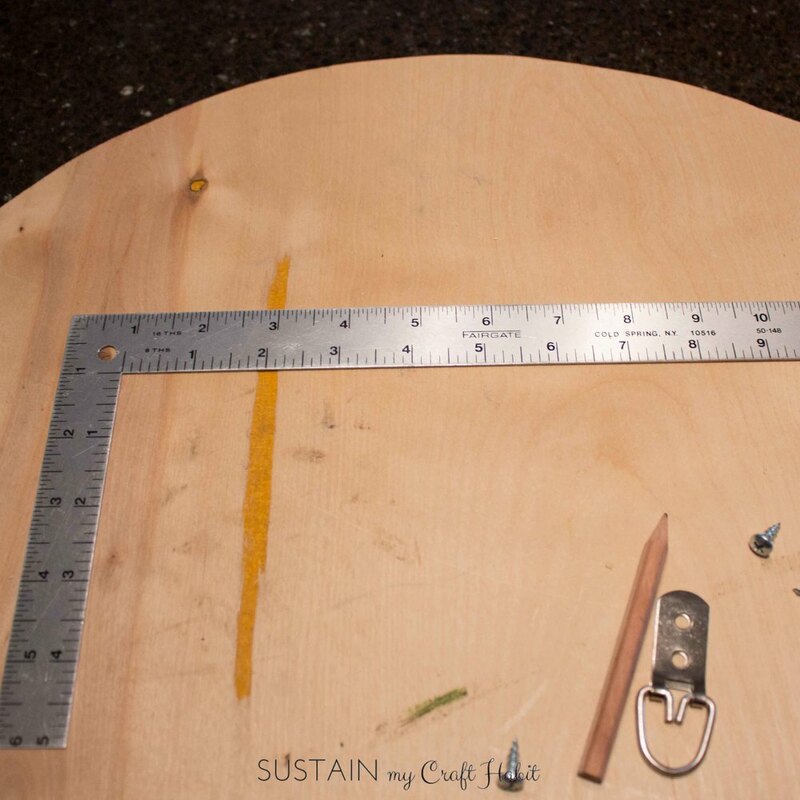 Here’s the math behind it: 14” for the size of the mirror + 2 1/2” (exposed plywood) + 2 ½” (exposed plywood) = 19”. 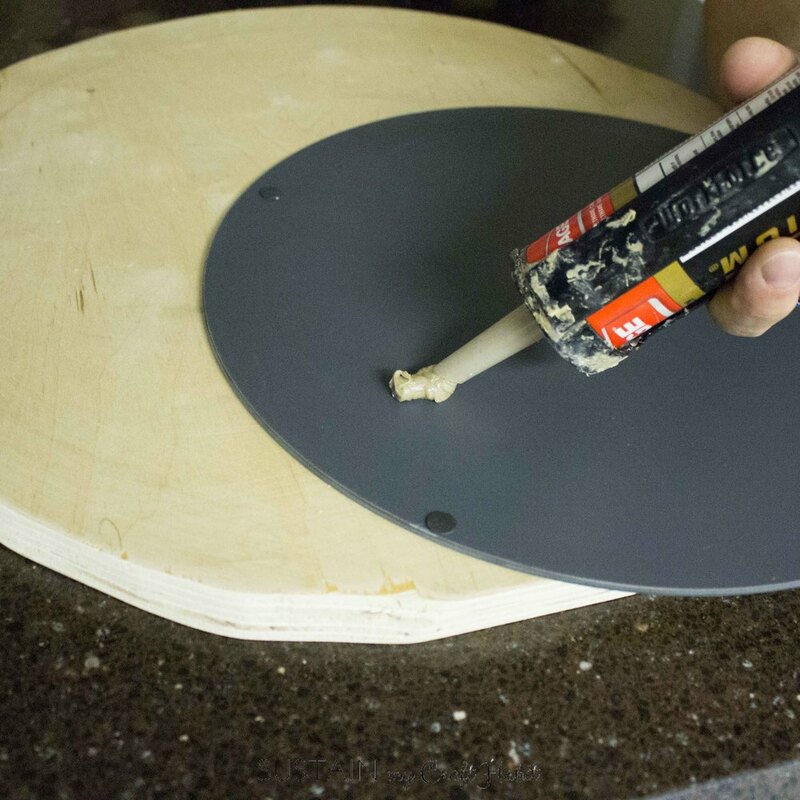 To apply the mirror onto the base, we carefully turned the mirror right side down on a smooth surface, taking care to ensure the mirror didn’t get scratched or broken! 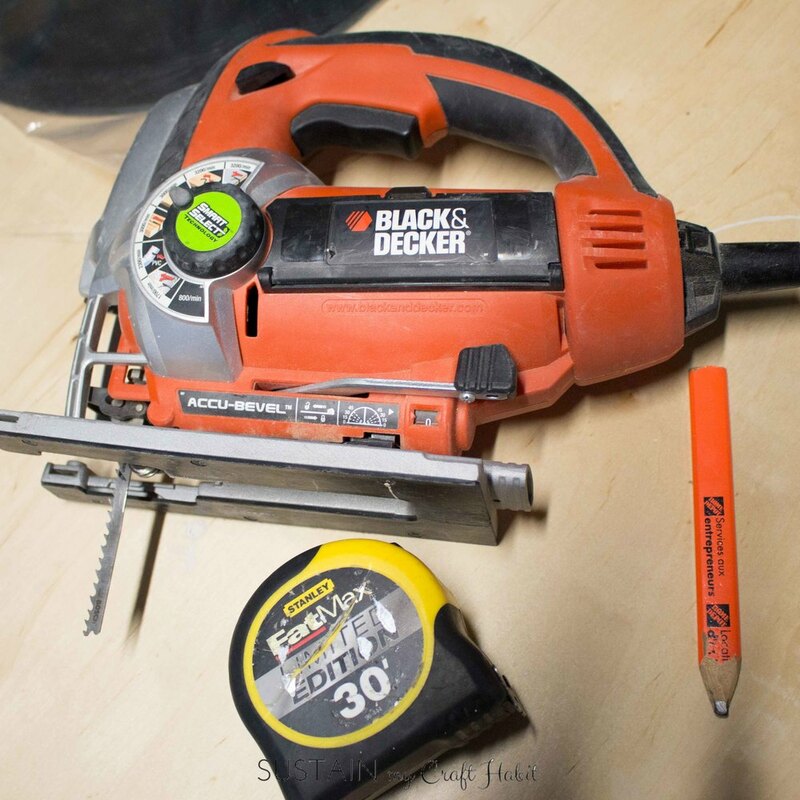 We found this helpful post from Adhesives.org that outlines all the different types of glue and appropriate uses for each. 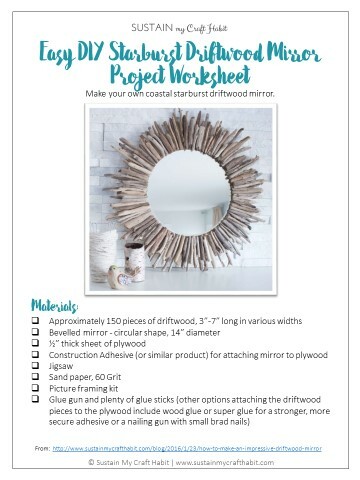 If you’d rather use a stronger adhesive for your DIY driftwood mirror, we’d suggest a wood glue or super glue. 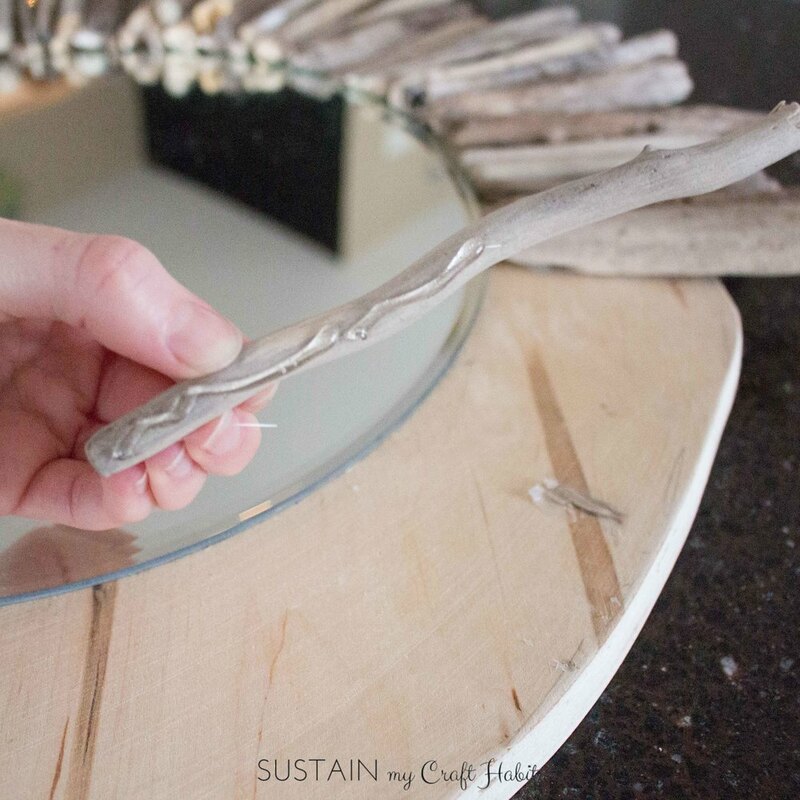 If you liked this DIY driftwood mirror project, you have to see our DIY driftwood wall art idea video. 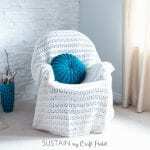 Be sure to subscribe to our YouTube channel for more coastal-inspired DIY ideas! We’d love to craft with you! 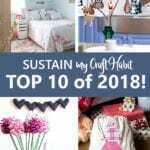 Join our Craft Habit Social Community to craft, connect and celebrate with like-minded people. 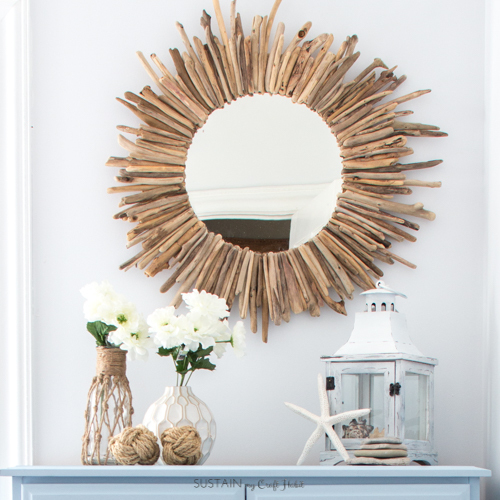 And there it is…our driftwood mirror all hung up! It’s almost as nice as this one we found on Amazon*. What is it about driftwood that we love so much? Very elegant. Thanks for showing. Thank you so much Clara! We’re glad you stopped by. 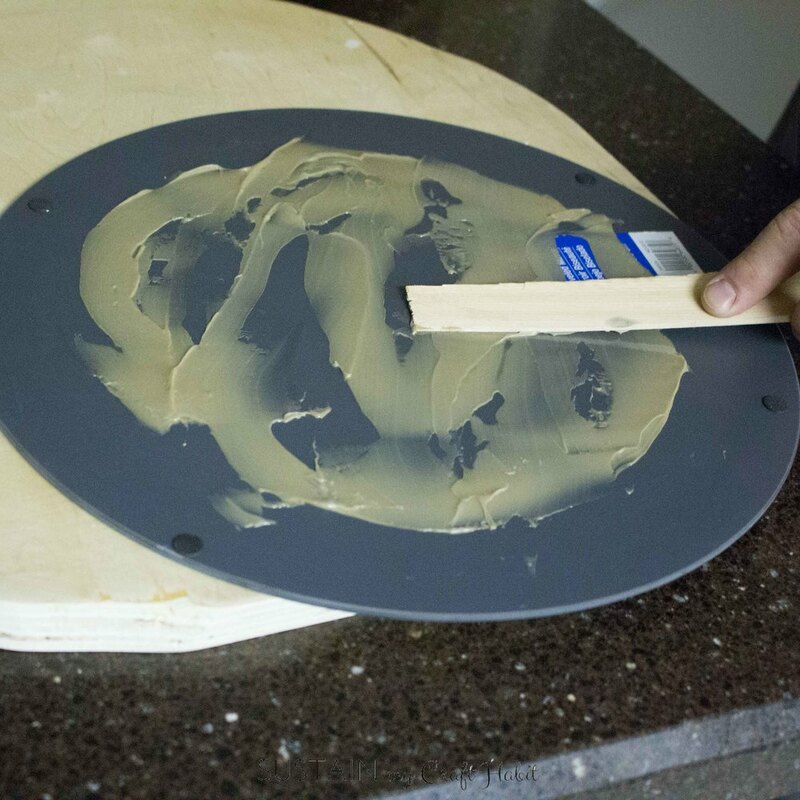 If you do end up making a similar mirror we’d love to see it. 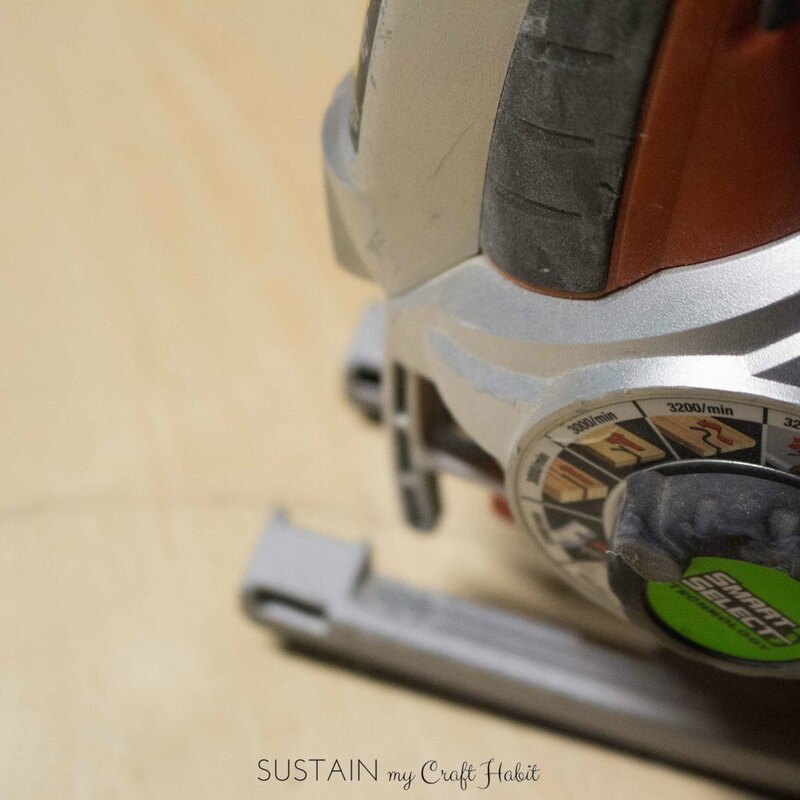 Feel free to email us a photo or post it on our Facebook page: https://www.facebook.com/sustainmycrafthabit/ . Beautiful! 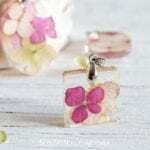 On my list to make. 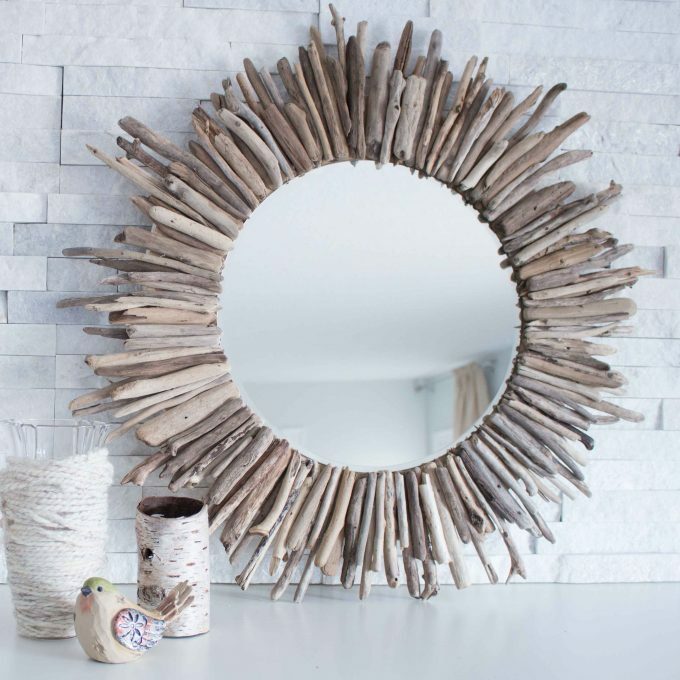 Drift wood mirrors are looking so beautiful.their designs are so simple but unique.These mirrors can be made easily.It’s a great idea to make home decors. Going to make this mirror for our beach house! Thank you so much for sharing. Our pleasure Sue! You’ll love it. I have a smaller one in my main floor bathroom at home and I’m still not tired of seeing it after two years. Hi there, the mirror is gorgeous! What’s the size of the finished product? Thanks! Thank you Ali! 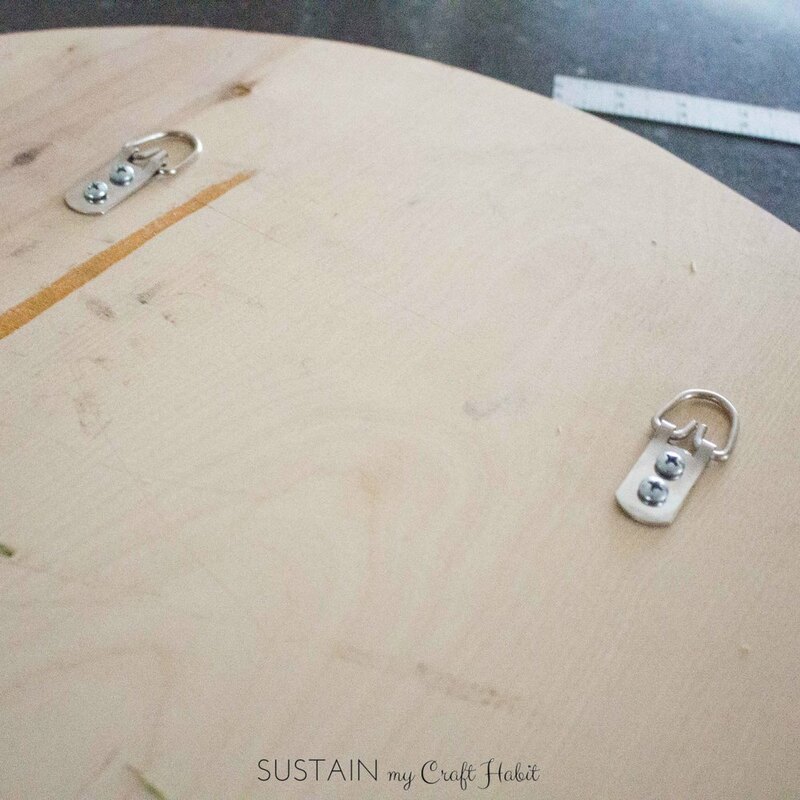 The final size will depend a bit on the size of driftwood pieces you use. Ours, with the 14″ mirror and driftwood pieces that were up to 7″ long ended up being about 30″ wide (at the widest points). Hope this helps! I was wondering if you could tell me, did you treat thevdriftwood first? Soak it or wash it? Thank you for your reply in advance!